In a nutshell, Building Information Modelling (BIM) is a computer software for engineers, architects and quantity surveyors that projects technical drawings in 3D. In reality, BIM is capable of much more. Up to now, conventional building design was largely reliant upon two-dimensional technical drawings but with BIM, these drawings are augmented with multiple dimensions that include width, height and depth, and also a fourth dimension (time) and even a fifth dimension (cost). BIM therefore covers more than just geometry, looking into geographic information, plus the quantities and properties of building components, and offers a 360° view of an entire project prior to its completion. Because of the cost savings it generates, the Malaysian Construction Industry Development Board (CIDB) has mandated that construction industry players will be required to use BIM for government projects worth over RM100 million by the year 2020 . Despite numerous efforts by various parties, over 55% of respondents that participated in a study by CIDB admitted they lacked knowledge in BIM . In addressing the current skills gap in the building industry, INTI International University (INTI) has integrated BIM modules into its Quantity Surveying undergraduate programme since 2016. INTI is among the first private universities in the country to collaborate with Glodon, an internationally recognised industrial software system whose BIM software, Cubicost, is widely used among construction industry players in Malaysia, including the Malaysian Ministry of Works (Kementerian Kerja Raya or KKR) and Kerjaya Prospek (M) Sdn. Bhd. INTI was recently acknowledged by Glodon as the nation’s education leader using BIM-incorporated curriculum. 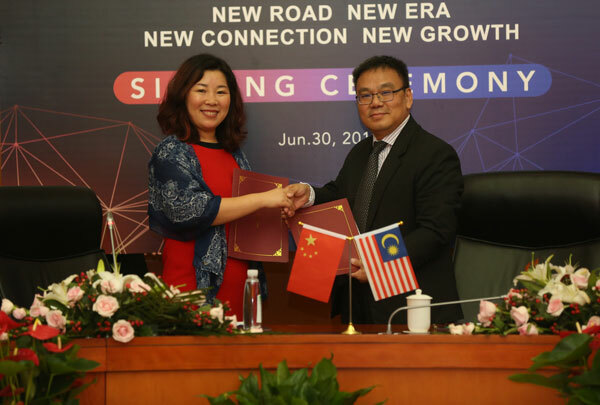 An agreement was recently signed for INTI to be the sole training partner of Glodon Malaysia and to provide competency-based training to industry practitioners, as well as members of academia beginning September 2018. This is also on top of INTI’s Quantity Surveying students obtaining a competency certification by Glodon upon successful completion of their studies. The agreement was the highlight of Glodon’s 8th AEC (Architecture, Engineering and Construction) Industry Summit in Xian, China, where INTI’s Vice Chancellor, Dr Joseph Lee also shared his views on talent development needs for the Belt and Road Initiative (BRI). The Summit was attended by over 1,500 AEC industry leaders from China and the ASEAN region. INTI also recently hosted a BIM Forum where AR Zamri Ismail, a member of the Malaysian Institute of Architects (PAM) BIM Development Committee; Professor Sr. Dr. Hajah Wan Maimun Binti Wan Abdullah, the Chairman of the Quantity Surveying Accreditation Council, Board of Quantity Surveyors Malaysia (BQSM); and Datuk Tee Eng Ho, the founder and Executive Chairman of Kerjaya Prospek (M) Sdn. Bhd. came together to share their experience and knowledge on BIM with INTI students and industry practitioners such as IGB Corporation Berhad and IJM Corporation Berhad. Eric Lee, a 2016 Quantity Surveying graduate from INTI who now works at Glodon Malaysia was also present at the BIM Forum to represent the company and to visit his juniors. Eric agreed, saying he was glad he studied BIM during his time in INTI as it gave him an edge and enabled him to be employed by Glodon as a Product Consultant, where he now trains new users on how to optimise BIM for their projects. Another testament is the establishment of the BIM Club in 2017 in INTI which further strengthens the BIM competencies of both the academicians and students through project-based learning. The first employer project undertaken with BIM was with Kerjaya Prospek. In this first project, 25 students were tasked to produce a BIM model for Kerjaya Prospek’s current project, ASPEN Vision City in Penang. 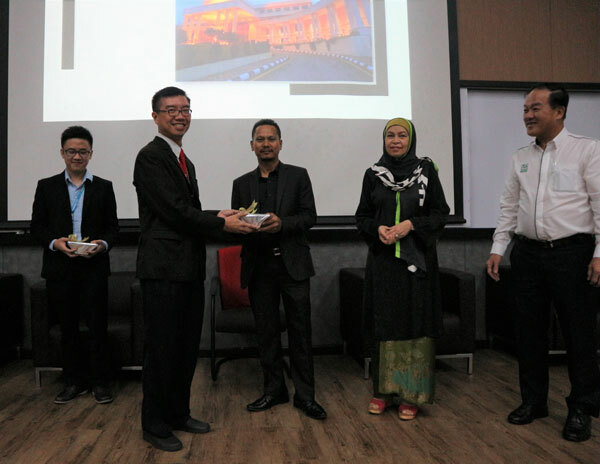 The completed BIM model was shown to AR Zamri and Professor Sr. Dr. Hajah Wan Maimun, with Datuk Tee commending the students’ efforts and testifying that they are ready to take on the challenges of the industry as they have proven their worth.